I recently received copies of two Penland books that I need to bring to your attention: The Penland Book of Jewelry and The Penland Book of Glass . Bead artists need to broaden our view of artwork, and feasting on one or both of these books is a good start. The Penland series is not designed to take you step by step through the basic skills and techniques of a new craft: rather, they are inspirational looks at the creative process behind the most gorgeous ground-breaking pieces being made today. The Penland School of Crafts is located in the Blue Ridge Mountains in North Carolina, and has long been renowned as a top-shelf place to learn. 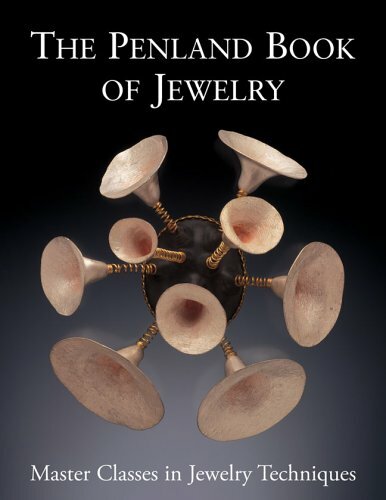 The Penland Book of Jewelry contains the work of 10 contemporary jewelers who have taught at the school, giving an in depth look at the inspirations, history, and techniques of each artist. The beautiful photographs of work included illustrate both the range and the depth of their technical expertise. Each artist has written a how-to section with illustrations and photos of the jewelry-making innovations they are best known for. The Penland Book of Glass likewise showcases 10 contemporary glass artists and provides 10 fabulous master glass classes. 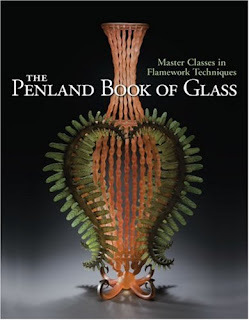 Penland's involvement with hot glass and the studio-glass movement in the USA dates back to 1965, and they were one of the first schools to integrate torch work into the program. Bead artists will already know Kristina Logan and probably also Paul Joseph Stankard, but will you be familiar with names like Shane Fero, Elizabeth Ryland Mears, and Inglaena Klenell? You need to be! There are photo galleries included that have works by dozens more artists who you will also want to know.